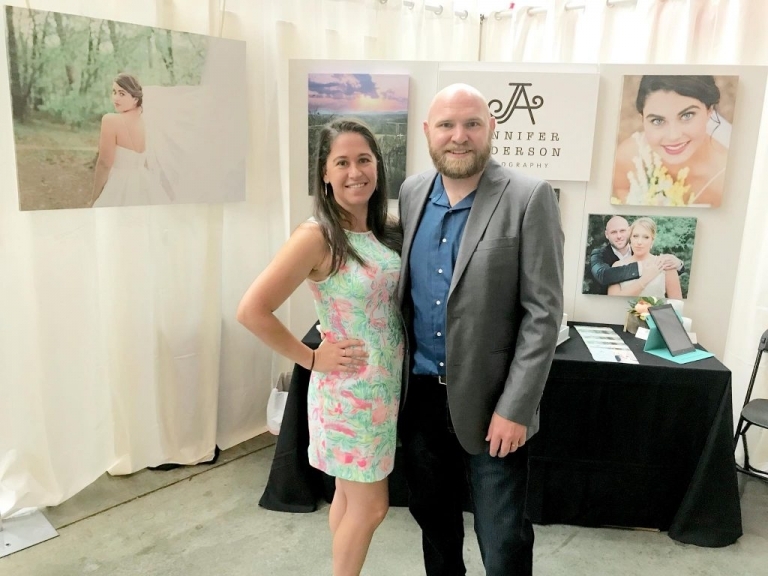 Doing the Summer 2018 Bridal Show this year was absolutely amazing! it was my first one, so I was a bit nervous with how it would all look, and if I would book any weddings! Running a wedding photography business is not for the faint of heart. It takes a lot of personal mental and physical sacrifices. But I am happy to say that this show was amazing and I am SO excited for the Winter one coming up! This photo is of my husband and I at the show (taken on a phone), in front of my booth. He shoots with me about half the time and is a great sport for all my shenanigans!